1. Using a mixer, mix together the softened cream cheese and pbfit until well combined. Add the powdered sugar and vanilla, mix till well incorporated. 2. Using a small sharp knife, carefully cut a small pocket into your bread from the crust side. Making sure not to puncture through the face of the bread. Repeat this step with all slices of bread. 3. 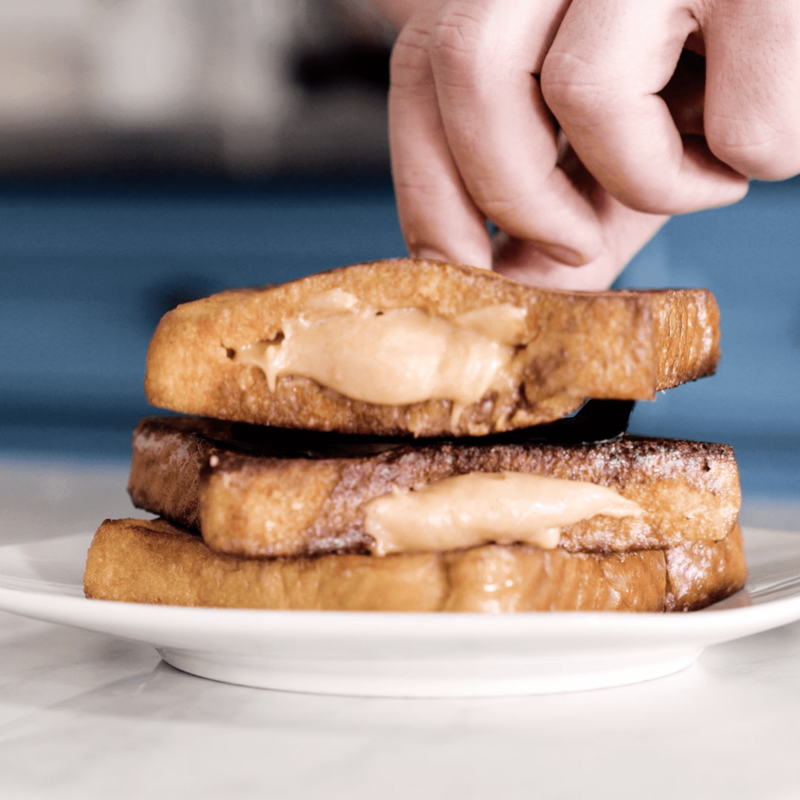 Using a piping bag or a ziplock bag with a hole cut in the corner, carefully pipe the peanut butter mixture into the pockets your created in the bread. You can fill them as full as you would like. 4. In a separate dish, combine eggs, milk, vanilla, and sugar. Using a whisk beat until well combined. 5. Heat a medium sized pan on medium heat. Once warm put a patty of butter into the pan to melt. 6. One slice at a time, dip into the egg mixture coating both sides. Then place the battered piece of bread into your pan, cooking till each side is golden brown.